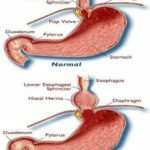 Swallowing disorder is technically called dysphagia (dys = bad, fygie = swallowing). It is a feeling of stagnation swallowing morsels, which can be painful (see. Painful swallowing). The cause is a pathological process in the pharynx (upper dysphagia) or esophagus (lower dysphagia). When the upper dysphagia can of food or liquid back out through the nose, for example, or can be inhaled, which is particularly dangerous. 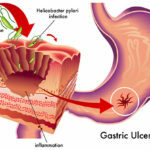 Therefore, when you re feeling of jamming bites and other associated problems be sure to visit your doctor! 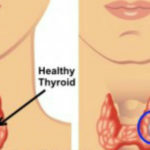 There may be a blockage of the digestive tract tumor suppression enlarged thyroid gland, or neurological and other disorders (eg., Amyotrophic lateral sclerosis, Parkinson’s syndrome, …), which is binding itself swallowing act. 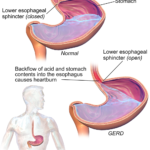 In disorders of the esophagus initially stuck swallowing mouthfuls of dry solids (typically roll or bun). Only later during tumor progression or inflammatory narrowing (reflective inflammation of the esophagus) Stuck transport mushy foods and liquids ultimately, when it is a very serious condition! Rarely is paradoxically sticking swallowing liquids in disorders of the muscles and nerves of the esophagus (diffuse esophageal spasm). Swallowing can be difficult to always or only sometimes, even in the form of seizures blockage of the digestive tract with possible suffocation. This of course, depends on the cause. If dysphagia is short and rather quickly deteriorates (from dry to liquid concentrate diet) with no previous trouble arminativ(return of food into the mouth or the nose), it is often a very serious illness, therefore, do not hesitate to see your doctor! Solution swallowing disorders mentioned below symptom of painful swallowing . 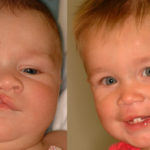 Description of cleft lip and palate They are congenital malformations of the face caused by abnormal facial development during spurs the growth of the embryo and fetus. It is important to mention a little about the development of the face….